Leicester XI: Schmeichel, Simpson, Huth, Morgan, Fuchs, Mahrez, Drinkwater, King, Albrighton, Okazaki, Vardy. West Brom XI: Foster, Dawson, McAuley, Olsson, Chester, Sessegnon, Fletcher, Yacob, Gardner, Rondon, Berahino. That's it from me, I'm off to make sense of it all in a report. Stay on the BBC Sport website for all the reaction. And that is it, the end of a breathless, thrilling, wonderful match at the KP. Leicester have to settle for a draw, but goodness knows how they did not find a winner. Mahrez! Overhead kick, but over the bar. Is that all she wrote? Two minutes of the 90 left. Home fans in deafening voice, a Leicester free-kick cleared. West Brom looking like hanging on. Last five. Can Leicester find another late winner, just as they did against Norwich? Wes Morgan! Great block by Ben Foster. A West Brom change now. Goalscorer Gardner off, James McClean on. Atmosphere still electric, but goalscoring chances thinning. Final Leicester change. Fuchs departs, Demarai Gray on. Winger for a full-back. Ranieri not sitting back. Still end-to-end stuff, with West Brom more than holding their own, albeit with some slightly scrappy defending. Craig Gardner from distance, but just over the bar. You feel there's a winner in this. Jamie Vardy! He is the patron saint of lost causes. Running all night, reaching a ball he has no right to, shooting and forcing a save from Ben Foster. Still so much life in this game. West Brom should be ahead! Salomon Rondon inside the six-yard box, somehow puts it over. Do not take your eyes off this one. Great save Ben Foster! The jet-heeled Jamie Vardy somehow catches a loose ball, pulls it back for Jeff Schlupp, whose shot is defelcted. Foster does very well to hang on. This is interesting. 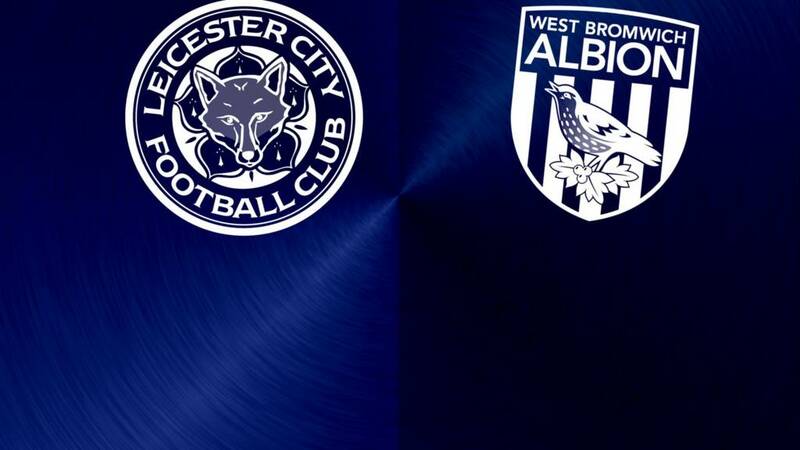 Leicester make a double change, withdrawing Okazaki and the excellent Albrighton. On come Jeff Schlupp and weekend hero Leonardo Ulloa. Another West Brom free-kick in a dangerous position, cleared to give the Baggies their first corner. They really have been better in this second half. Albrighton again. Another cross from the left, scrambled behind. It's blood and thunder, breakneck stuff. Superb. More brilliant action, with Leicester hitting the bar for the second time. Marc Albrighton has had a blinder, and another of his crosses is met by the flying Shinji Okazaki, but the header comes off the top of the bar. This isn't staying 2-2. West Brom are playing much higher up the pitch in this second half, not inviting pressure, pushing Leicester back. As a result, they are competing much more strongly than they did in the first half. "Leicester have won the last two matches between these two sides 3-2. Surely it can't happen again?" Another stunning goal in what has been a stunning match. A needless Riyad Mahrez handball gives Craig Gardner the chance to shoot from dead centre, 25 yards out. The position of the wall and keeper Kasper Schmeichel give Gardner a gaping target, which he finds with precision. Wonderful stuff. What a game.